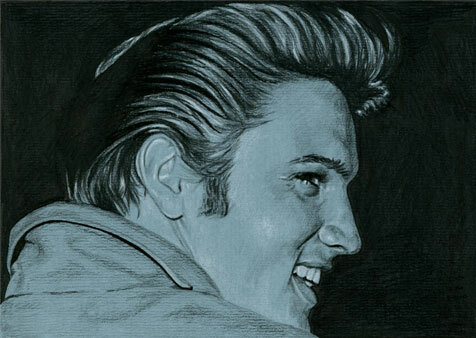 make a drawing of your favorite Elvis photo! Because I'm an Elvis fan since I was 10 or 11 years old. It started during a vacation. My uncle was singing the first three lines of "Blue suede shoes" over and over again. I asked what it was and he told me it was an Elvis Presley song. When I returned home I ran to the record store and bought my first Elvis Album,"Elvis' Golden records volume 1" and I was hooked... Now 43 years later I'm still an Elvis fan and I'm still collecting Elvis on vinyl. 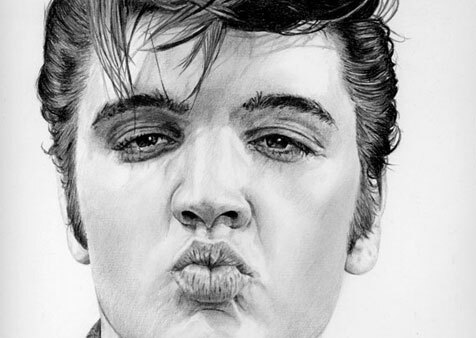 My favorite Elvis periods are the fifties and the late sixties / early seventies. 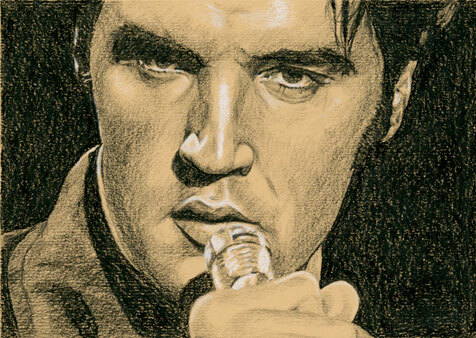 My goal is to make at least one Elvis in charcoal drawing every week. I don't always reach that goal, sometimes I'm too busy with assignments and other paintings and drawings (you'll find my other artwork on www.robdevries.com). 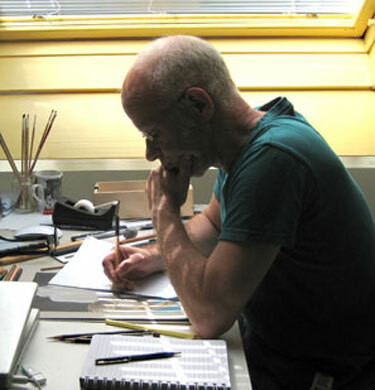 Assignments have a priority and will be finished in a week (charcoal drawings) or two to three months (oilpaintings), but there is a waitinglist during some periods of the year. I sell most of my work through Facebook and they are hanging on walls all over the world. You can also buy my paintings and drawings through this site, all the available works have prices and Paypal buttons. 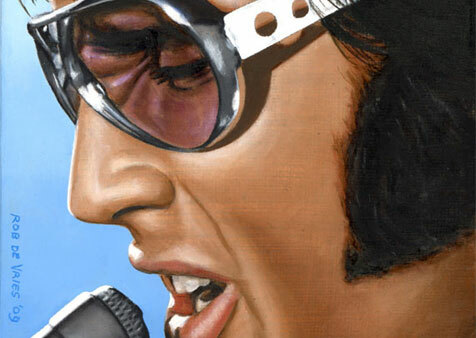 Your favorite Elvis photo as a painting or drawing? ca. 8 x 6 inch. A4, 29,7 x 21 cm. ca. 11.5 x 8 inch. ca. 16 x 12 inch.